A few years ago I used to share my clothing purchases on a monthly basis here on the blog, and I always enjoyed looking back and seeing what I bought each month. It was also a great way to help me track both my spending and my closet inventory. I’m not sure why I got out of the habit of doing that, but I’d like to start it back up again. One of my favorite style bloggers, Fran of Franish, does a monthly budget link-up that I love reading each month. I hope you will enjoy these posts as well. I didn’t set a clothing budget for this month, as I had some Christmas money left to use. I’ve been keeping a running list of “wardrobe holes” on my phone, and three of the four items I bought came from that list. I needed a black blazer, skinny jeans, and a bright blazer. Originally I planned to buy a plain black blazer and spend a little more on a higher-quality piece, but when I saw this window-pane print one from Target I couldn’t resist, especially for the price. I mentioned onMonday that this red blazer replaces an orange one I had that was getting worn out. Although they weren’t on my list, I took advantage of a promotion Nickel and Suede was running this month to get my second pair of leather earrings. I got a gold pair for Christmas and I wear them ALL the time. Guys, I can’t say enough good things about these earrings. I’m not exaggerating when I say I’d eventually like to have a pair in every color. For fun, I thought I’d share what I buy for Jona each month too. 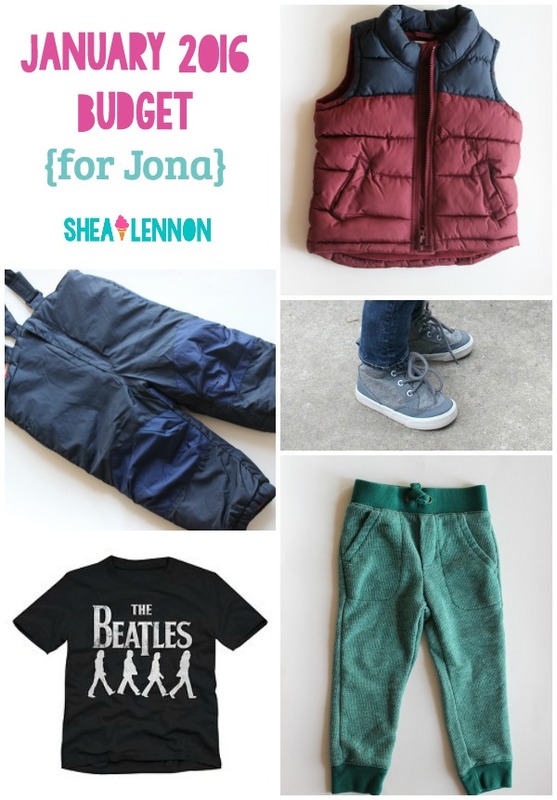 Jona also had some Christmas money to spend, so these purchases came from that as well. Right before Christmas, I pretty much bought everything Old Navy had in 2T because they were having a mega-sale, and I like their kids’ clothes. That, combined with the big stack of clothes he got for Christmas, meant that he didn’t really need much this month. However, I couldn't resist another Old Navy sale for some cold-weather gear and lace-up shoes. I also couldn't pass up a Beatles tee and some soft jogger pants from Target. 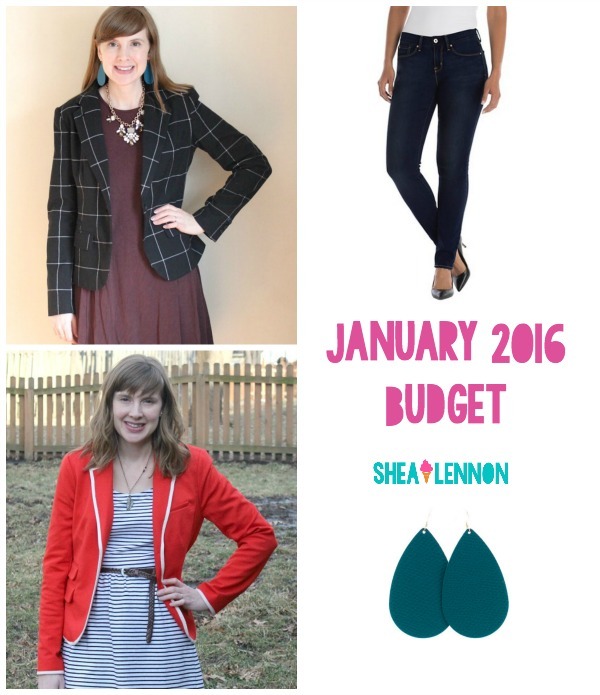 Do you set a clothing budget for yourself each month? Do you like seeing bloggers’ monthly round-up of purchases?